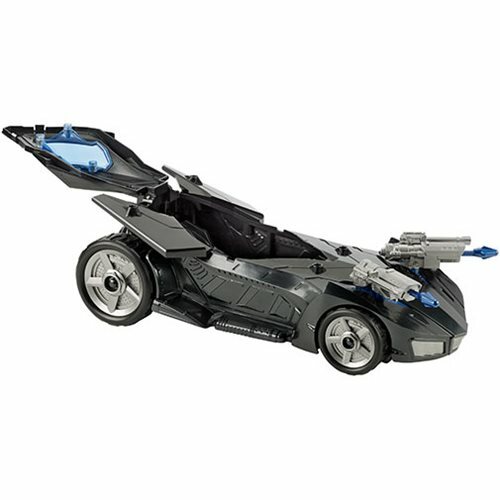 Race through the streets of Gotham City and defeat villains in this Batman Mission Missile Launcher Batmobile Vehicle! 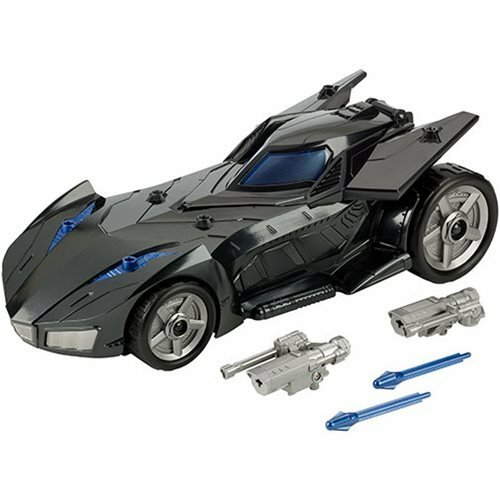 This sleek Batmobile holds a 12-inch action figure in the cockpit and fires two projectiles while in motion. 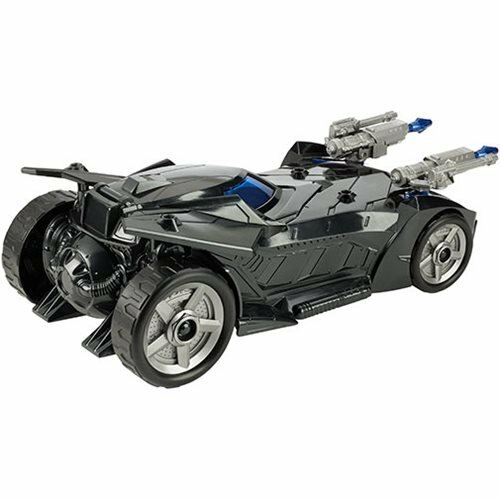 After rushing to the scene, grab the weapon off the Batmobile and arm your action figure. The weapon can also be attached at different ports on the vehicle to alter your attack. Drive the most technologically advanced crime-fighting machine on the planet and save Gotham City from lethal enemies! Action figure sold separately. Ages 4 and up.